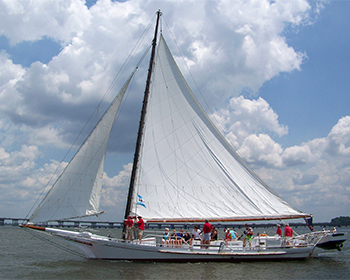 Enjoy a 2-Hour Sail on a traditional Chesapeake Bay skipjack on the beautiful Choptank River. Depart from Long Wharf, Cambridge. On most 2-hour sails we demonstrate oyster dredging.